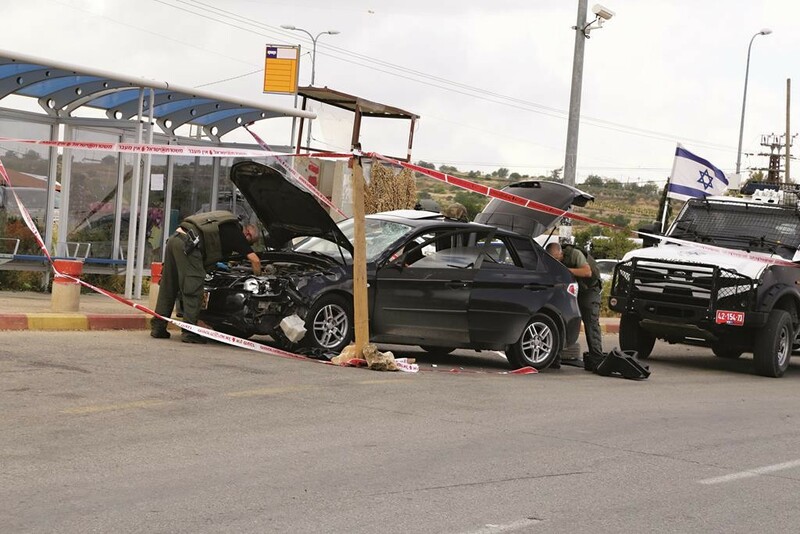 Four Israeli civilians were wounded, one seriously, in a roadside terror attack on Thursday afternoon at the Alon Shvut junction in Gush Etzion. Emergency responders found the victims lying in the road next to a bus stop after being hit by a car driven by a Palestinian from Chevron. The Palestinian driver, who fled the scene, was later caught, and confessed to ramming his vehicle into the pedestrians intentionally, for what the Shin Bet described as “nationalist reasons.” He was undergoing further interrogation as of Thursday night. Yoni Silman, a Magen David Adom paramedic told reporters that when he arrived at the scene the teens were all fully conscious and had suffered injuries to their lower bodies. They were evacuated to Hadassah Ein Kerem and Shaarei Zedek Hospitals by MDA and the army. 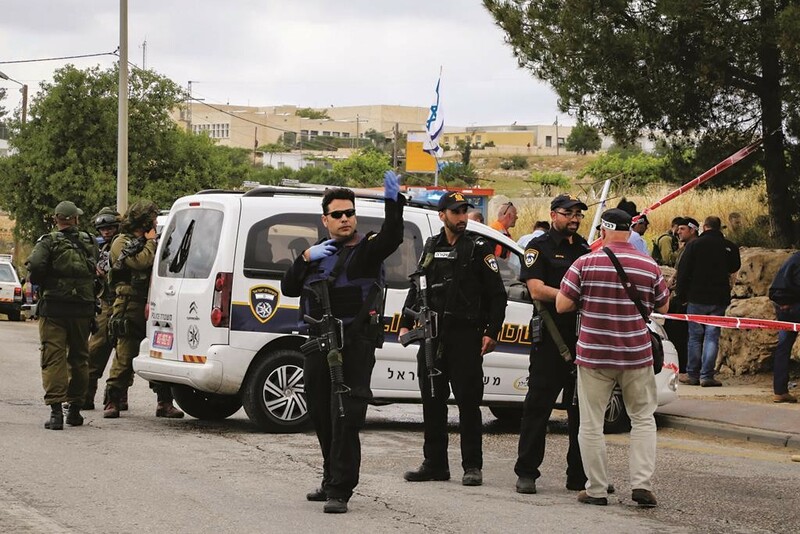 Hospital officials at Ein Kerem said that a 20-year-old was brought to the emergency room in serious condition, and a 25-year-old man with light injuries. A 16- and 17-year-old were taken to Shaarei Zedek, one listed with moderate hip injuries, the other lightly wounded. 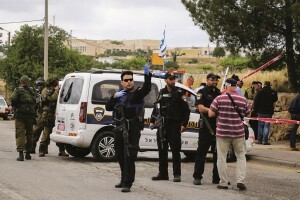 The perpetrator was identified as Mohammed Al-Rafia, a 22-year-old resident of Chevron who had been let out of prison a year ago after serving time for throwing stones and possession of a weapon. According to testimony from a security officer stationed near the Gush Etzion junction, the driver pulled over at a bus stop shortly after the attack, and approached a group of soldiers while clutching his stomach. The man appeared to be in shock and was speaking incoherently, and IDF medics began treating him. Soon thereafter, they realized that he might have been involved in the attack, and detained him in a nearby pillbox. A check that was run on the vehicle used — a late-model, black Mitsubishi with Israeli plates — revealed that it was stolen. Alon Shvut Junction is the site where three Israeli teens — Eyal Yifrah, Gilad Sha’er and Naftali Frenkel, Hy”d, — were kidnapped and subsequently murdered by Hamas terrorists last summer. Last October, 26-year-old Tekoa resident Dalia Lemkos was killed by a terrorist close to the scene of Thursday’s incident. Demands for tighter security were voiced by local leaders on Thursday. Davidi Perl, Head of the Etzion Bloc Regional Council, told Arutz Sheva there must be a separation between Arabs and Jews at the location. “The security establishment has an obligation to limit the areas of friction and secure a safe zone for the residents and for the students who are simply going home from school. There is no choice. A safe zone between the communities must be created,” Perl said. This article appeared in print on page 1 of the May 15th, 2015 edition of Hamodia.